The air is hot and dry, sapping from everyone in the room the moisture from their lips, while a cubic machine whirls. It is a dehumidifier, and it is pulling about 1.7 liters of water out of the air per hour. Our water damage specialist inspects two studs with a moisture meter. There are tufts of hair jetting out from his bald scalp. His pinks face flushes as he perspires. He is the owner and operator of 911 Restoration Milwaukee, and he has just raised his thumb in approval. Making sure all the water is gone is how we guarantee to homeowners that there is nothing left to worry about. With the evaporation of that last stray H2O molecule, so with it has their concerns become o-zone. With swelling sheetrock and pungent odors after a water damage incident that freshness someone needs in their life is hard to come by. For that reason, he is there for the citizens of Milwaukee. 911 Restoration is the licensed, bonded, and insured full service provider that you need for all manners of disaster restoration. Give us a call for all the restoration services your home needs today! Home restoration begins with water extraction. It makes sense if you think about it. Over a majority of the earth’s surface is made up of water. Moreover, we are ab out 70% water, so when something goes wrong it is highly probable the event will involve water. Plus, there is enough running water in your home at any minute that can fill up an Olympic swimming pool rather quickly. So, for whatever problem you face, trust that we have the rudimentary tools and skills to get your home to a bone-dry condition. Thus, allowing us to begin restoration and repair for the affected area. Your home is in good hands. 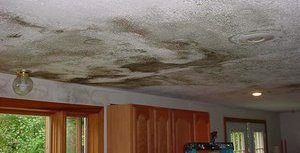 The water damage restoration Milwaukee team at 911 Restoration has the know-how and the capabilities to make your home beautiful once more. The disaster restoration Milwaukee team has seen it all. Don’t just take our word for it. Take the proof that is in the pudding. The meticulous team pays attention to everything happening around them, so nothing escapes our keen eyes. On top of that, we have undergone extensive training and certification, which is just a small way we ensure homeowners that things will get better quickly. For example, the disaster restoration Milwaukee team is IICRC certified. This certificate means that we are capable of microbial treatment, smoke removal, and odor elimination. That is not all, as it has taught us how different materials are affected in home accidents; therefore, we can replace and restore anything that your home is made up of. Taking the remains of the old, and building something beautiful on top of that is how we bring you back peace of mind, so give our disaster restoration Milwaukee experts with 911 Restoration Milwaukee a call today! The most important thing to remember about sewage damage is that it needs the attention of a team that has the tools and the capacity to clean it up. As a homeowner you are undoubtedly skilled at handy repairs, but unfortunately sewage cleanup requires the up most professionalism. Through use of hazmat suits, wet vacuums, and sanitizing sprays, the waste is removed carefully and any harmful bacteria is eliminated. The health of you and your family is a top priority, so never wait for restoration. By calling us as soon as it happens we arrive on site within the hour with everything needed to get the job done in an expedient and effective fashion. Contact our sewage backup cleanup Milwuakee experts with 911 Restoration Milwaukee for whatever sewage incident you and your home have encountered today! More often than not, the most damage the comes from a home fire is a result of the smoke it produces, and the water used to put it out. For example, if you experience a grease fire in the kitchen, you may feel tempted to put it out with water. By doing so you exacerbate the issue and the fire spreads. Then when the firefighters arrive, they put it out with more water. So, the source of the blaze was the kitchen, but there is smoke and ash in other rooms. And the water from the jet stream is in the carpets, sheetrock, and it swamps the rest of your home. This is why you need the all-service team from 911 Restoration. Our fire and smoke damage restoration Milwaukee team can extract the water, and operate the equipment needed to remove the oily soot left behind. Plus, we take apart your vents and use advanced thermal foggers to neutralize the smoky odor, so that you can take a breath of fresh air years later. If your home has recently been through a fire and smoke damage event then you shouldn’t hesitate to contact our experts with 911 Restoration Milwaukee today! Having a forte in water damage means that we have to prepared for all the scenarios it embodies. Some examples, as seen above, are the effects and by-products of accidents that include water. And water has its own effects as well. It soaks into porous material, and it can also get into the dark secluded areas of your home that you seldom think about. Crawlspaces, attics, and ceilings are areas that are dark and can become humid with the addition of excessive moisture. Once there, the naturally occurring mold spores in the air will active, and then plant roots in the gaps of the building material. Then, it eats away at whatever it lives on. If that happens to be a load bearing structure, then it may compromise the integrity of your home. But fret not, because the mold removal Milwaukee team has your back. We can remove mold, and the odor it causes, so that you can be on the path of your fresh start. Using the same type of sanitizing spray for sewage backup on mold eliminates the microorganisms that form mold colonies. Then we use dehumidification to get the area to dry out, as to curb the growth of any future colonies. Furthermore, we even use antibacterial paints, therefore any stray spores become neutralized on contact. As you can see, no restoration job is too small or too big for us to handle. So, get ready for utter and complete protection and repair. Your peace of mind is only a dial away. Pick up the phone and call our mold removal Milwaukee technicians with 911 Restoration Milwaukee and let our highly skilled team provide you with the best in the business today!